The Civil War battlefield is the last place Quakeress Faith Cathwell thought she'd find herself. 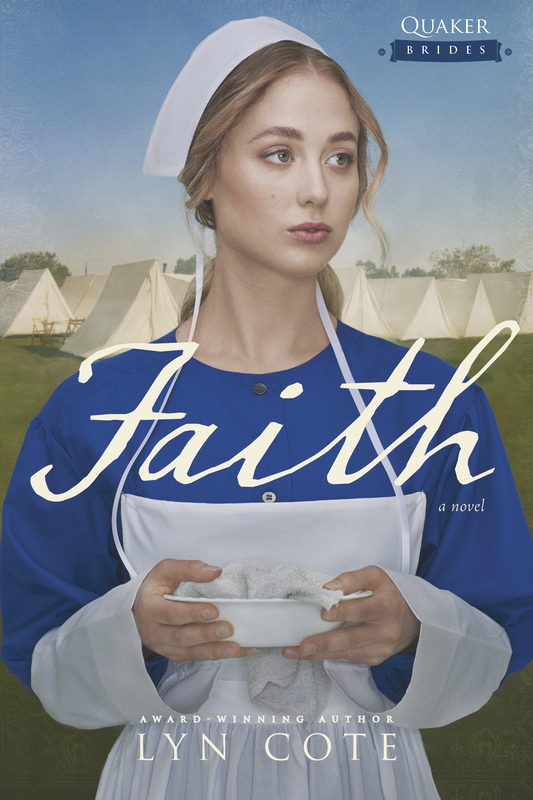 But with a gift for nursing, Faith seizes this opportunity to join the fight for abolition—and to search for Shiloh, a freeborn childhood friend who was kidnapped and sold south by unscrupulous slave catchers. Knowing it's much too dangerous for her to search enemy territory alone, Faith enlists the help of Colonel Devlin Knight, who is indebted to her for saving his cousin's life. A career soldier, Dev is committed to the preservation of the Union but conflicted about freeing his own slave and confidant, who plans to enlist as soon as Dev gives him manumission papers. Blazing a trail east with the rest of Grant's army, Dev and Faith fight their personal battles—and a growing attraction to each other. When beliefs clash and passions flare, they quickly find that the only thing more dangerous than the war surrounding them is the battle within their hearts. Faith by Lyn Cote was published by Tyndale House Publishers, Inc. in April 2016. The ISBN for Faith is 9781414375632. Be the first to review Faith! Got a question? No problem! Just click here to ask us about Faith.